Dave and Johnny presents this beautiful two-piece homecoming dress in gleaming satin with a playful style. 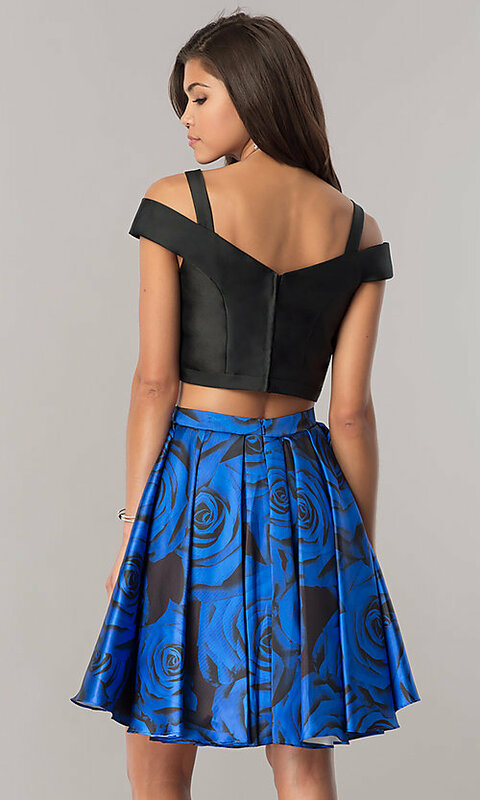 Ideal for wedding celebrations and cocktail parties, this lovely designer dress features a cold-shoulder black crop top with a coordinating print a-line skirt. Fold-over sleeves on the v-neck bodice give this party dress a trendy off-the-shoulder look with straps for added support. 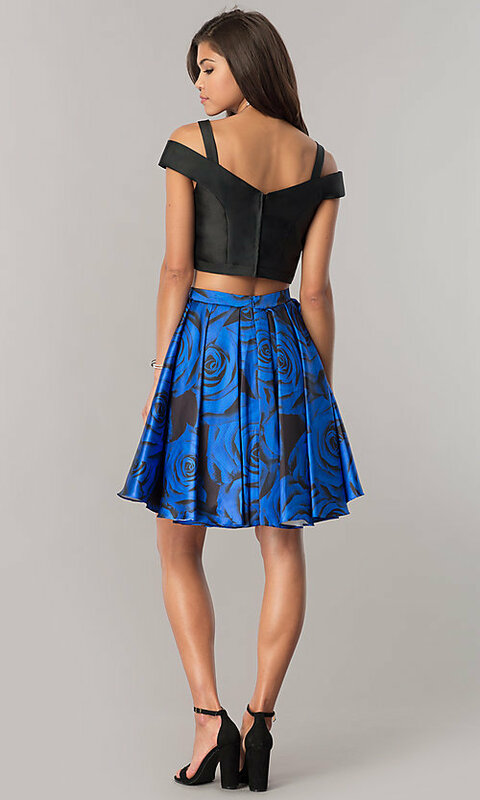 A vibrant blue rose print provides an impressive contrast against the black background on the box-pleated a-line skirt that has convenient side pockets to hold all of your valuables. 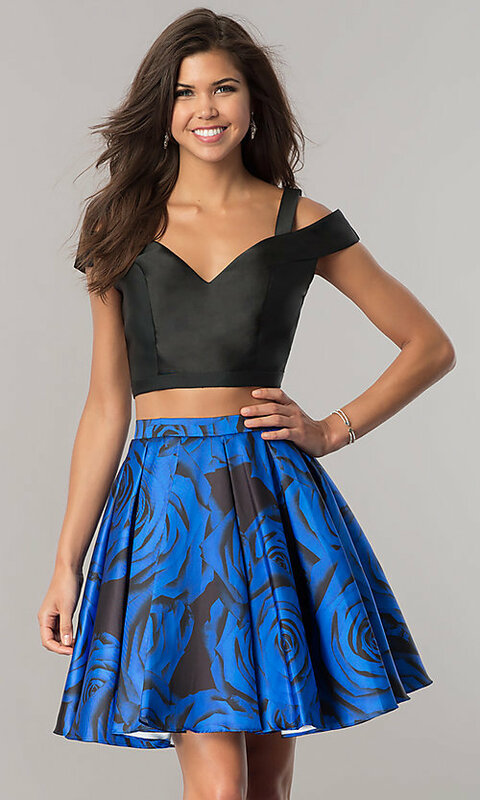 Offered in junior sizes for semi-formals, this adorable two-piece homecoming dress is an obvious must-have for hoco 2019. Top 14", Bottom 19", Hollow to Hem 32"